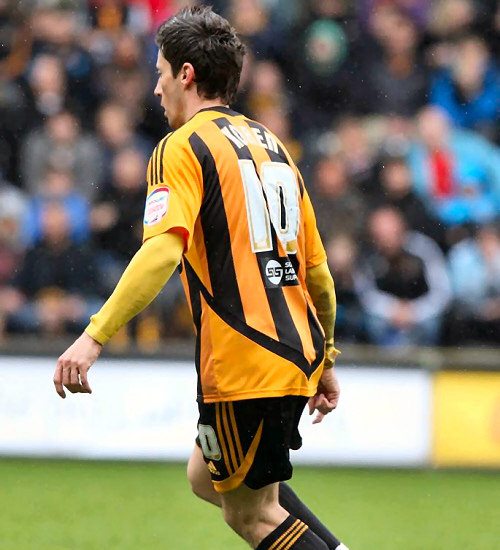 Slovenian midfielder Robert Koren was voted Hull City’s player of the year for 2011/12, narrowly edging out defensive colossus James Chester. 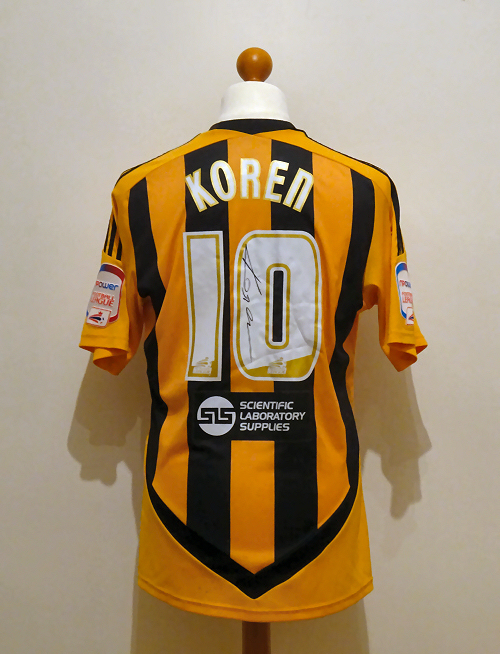 It was just reward for Koren, who had a fabulous season that was littered with decisive and often spectacular goals. 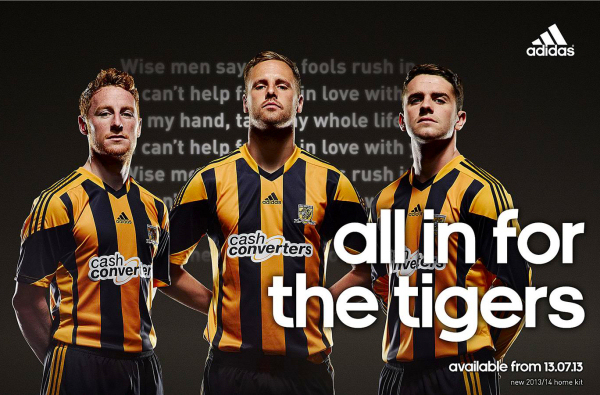 He wore this shirt at the KC Stadium in one half of the 2-1 win over Middlesbrough on 9th April 2012. 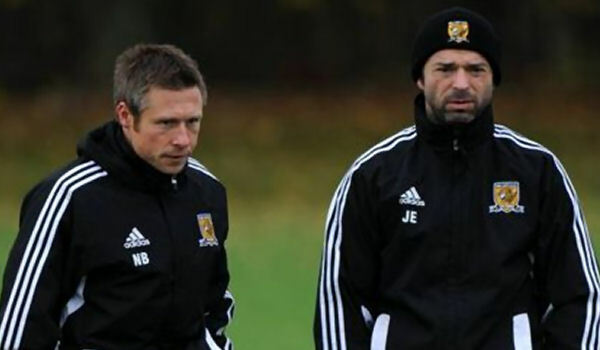 The win ended a run of five straight defeats and kept City in the hunt for a play off place, though The Tigers hopes of extending their season would ultimately be dashed. 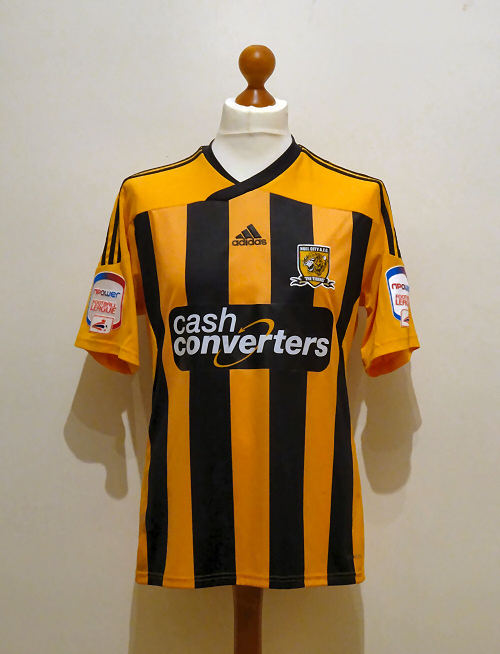 The 2011/12 home shirt was a decent design that was blighted by the addition of unsightly Cash Converters sponsor patches. 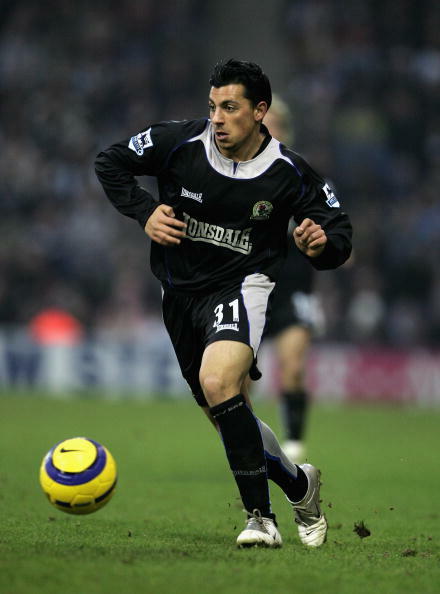 This player spec shirt features Npower Football League competition patches on the sleeves, polyurethane name and number appliqués using the League’s standard font on the back and underneath the numbers, a heat applied patch with the logo of Scientific Laboratory Supplies, the club’s back of shirt sponsor. Distinctive creasing on the numbers and mud spattering allows this shirt to be easily authenticated with match photographs. Although unwashed, it didn’t pong as Koren wore an undershirt throughout the Boro game.